Annamaet Ultra was designed for performance dogs and puppies, but is also a great option for small breed dogs. The recipe is made with antibiotic and hormone-free chicken, fish and brown rice. 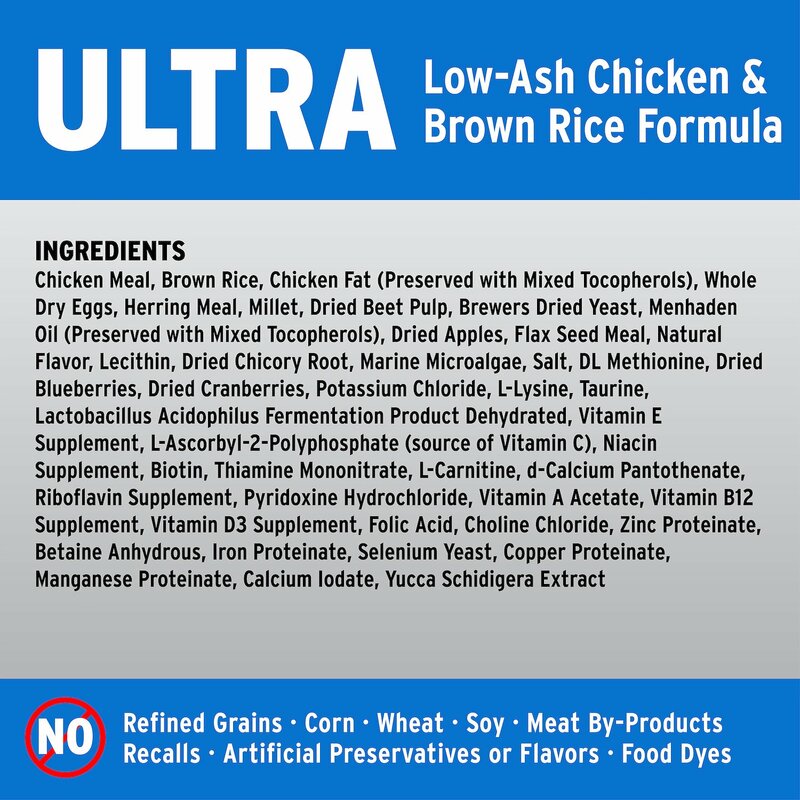 This is an "ultra" energy dense product, having the highest protein and fat levels of any Annamaet formula. The recipe is made with antibiotic and hormone-free chicken, fish and brown rice. With algae, a stable and sustainable natural ingredient that is an excellent source of Omega 3 Fatty Acids. Using Proteinated (Chelated) Minerals increases their utilization and strengthens the immune system. This product has recently undergone a slight packaging change. Customers may receive the old packaging during this transition. Chicken Meal, Brown Rice, Chicken Fat (Preserved with Mixed Tocopherols (Vitamin E)), Whole Dry Eggs, Herring Meal, Dried Beet Pulp, Millet, Brewers Dried Yeast, Menhaden Fish Oil (Preserved with Mixed Tocopherols (Vitamin E)), Flax Seed Meal, Lecithin, Fat Product (Algae, Source of Fatty Acids), Carrot, Celery, Parsley, Lettuce, Watercress, Spinach, Salt, Dl Methionine, Potassium Chloride, L-Lysine, Cranberries, Lactobacillus Acidophilus Fermentation Product Dehydrated, Oligofructose, Yucca Schidigera Extract, Vitamin E Supplement, L-Ascorbyl-2-Polyphosphate (Source of Vitamin C), Niacin Supplement, Biotin, Thiamine Mononitrate, L-Carnitine, D-Calcium Pantothenate, Riboflavin Supplement, Pyridoxine Hydrochloride, Vitamin A Acetate, Vitamin B12 Supplement, Vitamin D3 Supplement, Folic Acid, Choline Chloride, Zinc Proteinate, Betaine Anhydrous, Iron Proteinate, Selenium Yeast, Copper Proteinate, Manganese Proteinate, Calcium Iodate. 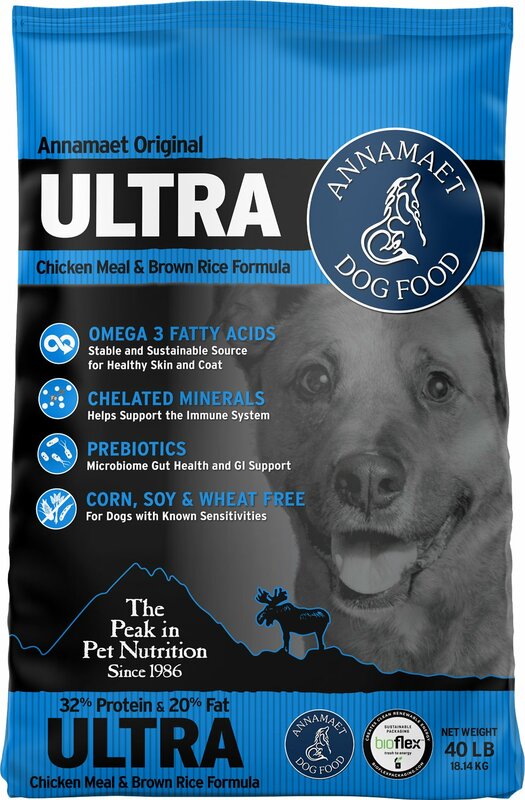 Adult: The age and activity level of your dog will help you determine the amount of Annamaet Ultra to feed your dog. Females: Gestation and lactation are one of the most nutritionally demanding stages of a normal adult dog's life. Food consumption should increase during gestation. Feed the necessary amount to maintain her proper body weight. During lactation, food intake may double or quadruple. Puppies: Growing puppies should have approximately twice the amount of calories per pound of body weight as an adult dog. They should be fed all the moistened Annamaet Ultra they want at intervals throughout the day until they are about three months of age. They then can be fed moistened amounts three times daily and twice daily after six months of age. It is a must that all dogs and puppies should have access to fresh, clean water at all times. Their feed and water containers should be washed daily. Please remember, that dogs are like humans, and different dogs have different appetites. 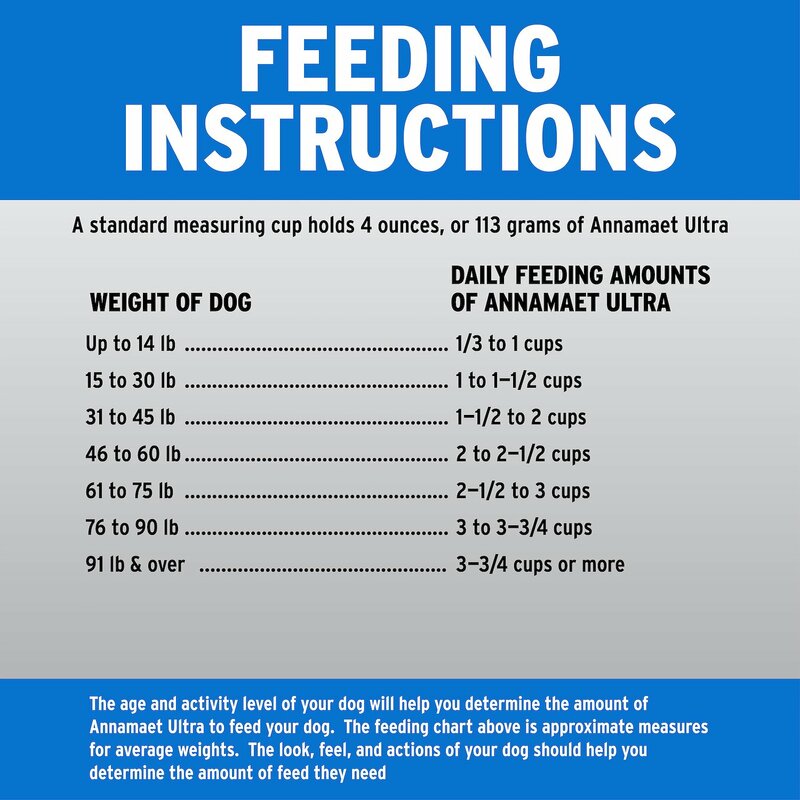 The feeding chart below is approximate measures for average weights. 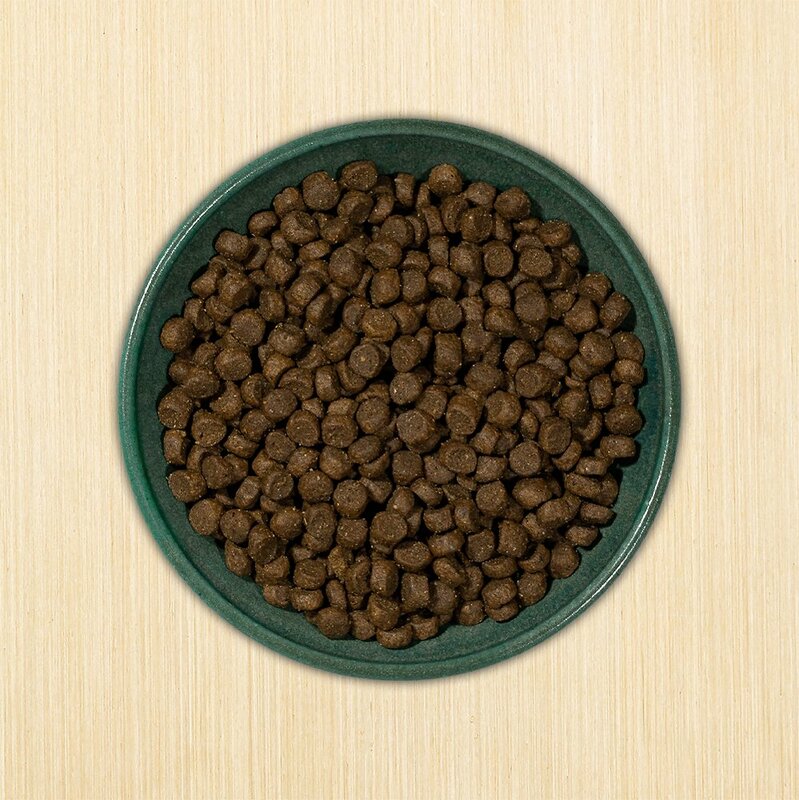 The look, feel, and actions of your dog should help you determine the amount of feed they need. A standard measuring cup holds 4 ounces of Annamaet Ultra. 91 lbs & over 3 3/4 - ? Coming up on the end of the bag, this will definitely be on an autoship! I have a 5 year old stafforshire mix and a 4 year old Doberman and they’re doing great on the food. They did not mind the change of smaller kibble as compared to Orijen Tundra. They get just as excited to eat as when they have raw or treats, and they love it! I have noticed they have put on the winter weight more quickly on this kibble, but they have a lot of energy to burn for longer cardio training. Their coat still has the luster and softness as when they were feeding on the previous kibble. As mentioned, I will be ordering this consistently! On our first bag with new Vizsla puppy and her coat changed immediately after we were at a 75% new/25% other brand mix. Pup is eating and looking much healthier. Hasn't been on it long enough to give 5 star yet. 10 wk Aussie Shepard. So far has been on just the Ultra for a week. He has nice formed stools without any upset's. Sorry guys, but some have said it doesn't smell bad. His poop STINKS, hope it's just the adjustment phase. But when doesn't poop stink. Loves it and goes right for it. 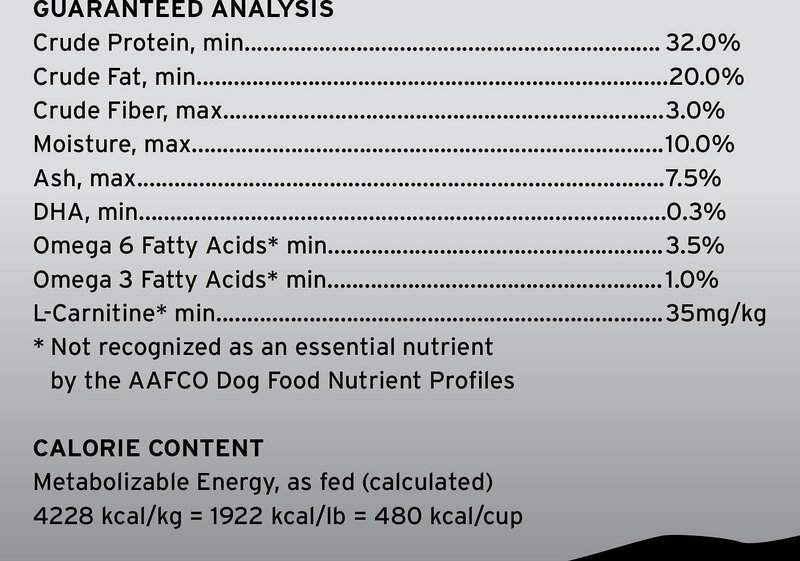 I did a TON of research on a lot of top dog foods. So far very happy with all that I'v read on it and how he's doing on it thus far. It's for All life stages, as well as safe for large breed puppies. That eased my mind a lot. 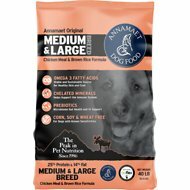 I was looking for a food with high quality ingredients that I could feed all 3 of my dogs. It was getting too much of a hassle, not to mention they all eat out of each other’s bowls lol, to feed 3 different foods. I have a 4yr goldendoodle, a 4 month goldendoodle and a 15 yr rescue terrier mix. They All love this food! So far no issues but I’ve only just switched recently so I’ll see how it goes. It’s a little pricey but I feel it’s worth it for a high quality, no fillers, no hormone or antibiotic protein food. I believe spending more on high quality food to keep them out of the vet office. 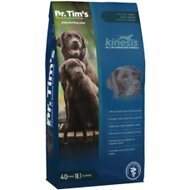 Great Dog Food for hunting lab pup. 1yr very active Belgian Malinois picky eater - need to fatten her up a bit. The verdict is still out on this. Have a VERY active (3-6 miles of running a day) 1yr old Belgian Malinois who I can barely keep weight on due to separation anxiety (if I'm out of the kitchen, she won't eat). Eats fine if I'm there but shows no decline in activity levels other than she's beautifully lean (almost too lean IMO) so I am playing with this. Started with the Encore 25, then the 26 and am now on the Ultra 32. She does, however, like the taste of all and eats it readily when we are present. So good product as far as I can tell, I just want some more meat on my girl. Ordering and shipping w/Chewy is awesome as ever and I thank you for that. Still mixing some other kibble with this food; but she seems to love it. And, I like the ability to close the bag with the zip top. I have it in a proper container, but seems like a double seal is even better. Thank you! And it might help to wait a little bit longer prior to asking for a review as that is the only reason I am giving it a 4 star at this time.